Public budgets are strained across the United States—from the federal government all the way down to local cities—and something must be done in order to keep the sheets from swinging too far into the red. Unfortunately, efforts to address budget problems are being steered into cuts for programs that benefit the most vulnerable Americans, while the wealthy remain largely untouched. Instead of increasing taxes on the wealthy and corporations—two groups which have secured the largest economic gains in recent years—corporate tax rates are being cut and dramatic austerity has been suggested to compensate for budget deficits. Of the suggested austerity measures that have been suggested in recent years, one particularly odious tactic is to raid public-sector pensions in order to cut costs. 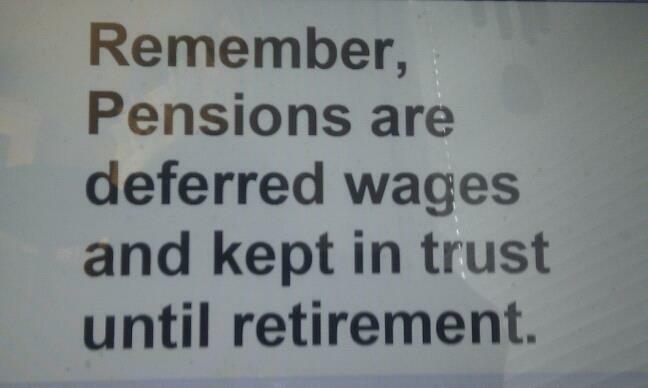 These potential raids on public sector pensions threaten to decrease the effectiveness of future pensions and even eviscerate benefits for those already retired. Budgeting is a deceptively simple matter of managing economic input and costs so that you don’t end up spending beyond your ability to sustain your obligation. On the federal level, this means that that the federal government raises money through taxes so that it can pay for its programs—it can (and almost always has) go into debt, but it must ensure that this debt doesn’t grow to the point where it becomes impossible to pay off (ex. Greece). State and local budgets operate along similar lines to federal budgets, but they receive subsidies from the federal government in addition to tax revenue and are unable operate under a deficit. In recent years, an erosion of the tax base—caused by tax cuts and high unemployment—has strained budgets and led to a squeeze from the top down. To compound the strain of decreased tax revenue, austerity on the federal level reduces subsidies to state governments, while austerity on the state level trickles down to the local levels. In order to keep budgets at acceptable levels, governments need to either increase their funding (raise taxes) or cut their services. Usually, a combination approach is used in order to address budget problems, but recent political realities have changed this dramatically. Over the past few years, the GOP has categorically refused to increase taxes on the wealthy or corporate entities, and have demanded steep cuts to vital programs (ex. SNAP) in order to fix the budget. This intransigence has existed on the federal level in addition to virtually every state where the GOP has a significant amount of power. Under the aegis of fixing the budget, the GOP appears to be embarking on a legislative effort to raid public sector pensions and hobble them into the future. This effort is motivated by the dual desires of the GOP to shrink the size of government workforces and to attack public sector workers, who are a common target of right wing anger. 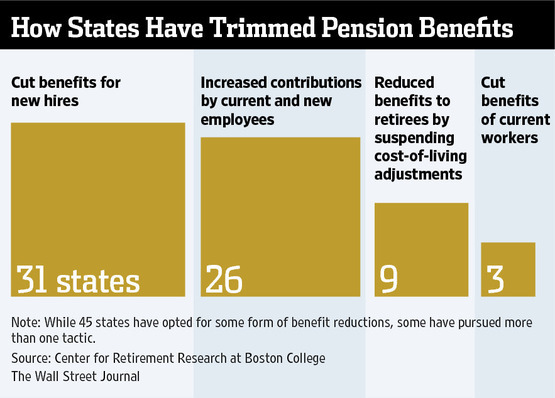 Efforts to cut pensions are an emerging and multi-front threat to the wellbeing of public sector workers—such efforts are starting on the federal level as well as in dozens of states. One would think that the pensions of retired veterans would be the last thing to be put on the chopping block during debt negotiations—after all, veterans who have served their country for decades deserve a good pension so that they can live the later part of their lives in comfort and dignity. Unfortunately, anybody who thinks that military pensions would be protected, would be incorrect. 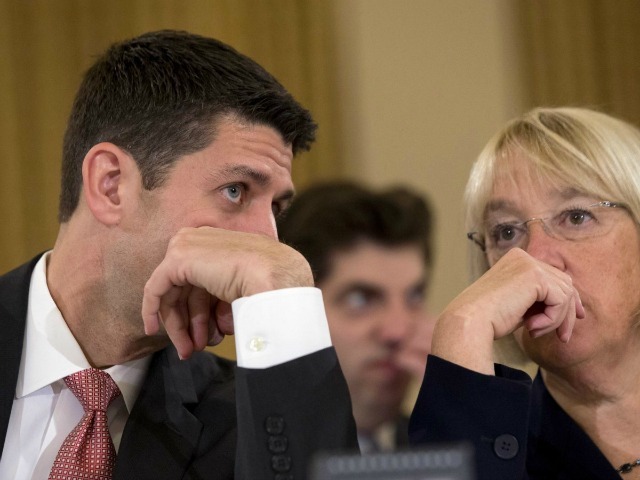 The recently signed 2014 budget deal—negotiated by Republican Paul Ryan and Democrat Patty Murrey—includes a provision that would cut military pensions by over $6 billion during the next decade. These cuts occur through shifting the assessment of benefit increases to a less generous (and less accurate) measure of the increase in the cost of living. 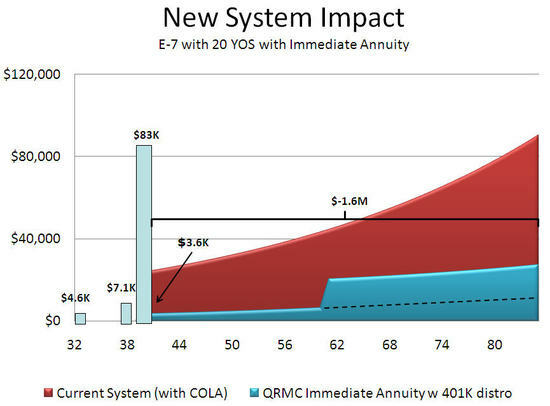 Over the years, this shift to a less generous cost of living adjustment will result in an ever-increased decrease in the pension benefits given to veterans. The shift to a less generous cost of living increase was suggested by Republican Paul Ryan but it was agreed to by the Democrats—as such, both parties share some culpability in this unfair cut to military pensions. To add insult to injury, these cuts to military pensions accompany a restoration of many of the military programs that were cut through the sequester. While veterans are getting their benefits reduced, defense contractors will have their funding increased back up to pre-sequester levels. According to leaked documents, conservative advocacy groups, including the State Policy Network, have planned to push cuts to state pension programs in over 30 states during the coming year. Through a combination of cutting current pension benefits and requiring that state employees have to pay more into pension programs for worse benefits, these conservatives hope to reduce the cost of pension programs to the government. While it is certainly true that cuts to pension programs would make them less costly to the government, the cuts would harm workers immensely and would represent an incredibly regressive method of balancing budgets. State workers dedicate their lives to the public and deserve to have a reasonable level of compensation for the hard work that is expected of them. At a basic level, cutting pensions for state workers, while keeping tax rates low for the wealthy, is immensely unfair and bad for the economy. Retired workers who lack sufficient pension benefits often live in poverty and must rely on charity or their family in order to survive. As such, pension cuts are not an effective way of balancing a budget (such cuts simply shift the pain onto middle class workers), and it is far less disruptive to ask a little more from those who can afford to pay. Arguably the most worrying threat to public sector pensions comes from the possible resolution of the Detroit bankruptcy. At the beginning of this month, an Illinois state judge ruled that public sector pensions are not exempt from cuts during the bankruptcy proceedings of the city of Detroit. This ruling opens the door to the Detroit emergency manager deciding to simply renege on pension obligations by crying bankruptcy, while directing money to other debtors (likely banks and private sector interests). If it is decided that cities can declare bankruptcy, and then retroactively default on previously arranged pension responsibilities, it will be an absolute disaster for public workers. Such a precedent would allow other cities to throw retired workers under the bus by denying them promised benefits in order to balance budgets. Workers are promised a certain level of compensation for their work and altering these contracts at the end of a worker’s career is simply a form of wage theft. A coordinated and well-funded effort to eviscerate public pensions is on the horizon and progressives must hold the line against this regressive push. If conservative groups manage to advance their efforts to cut public sector pensions, millions of American workers will pay the price. 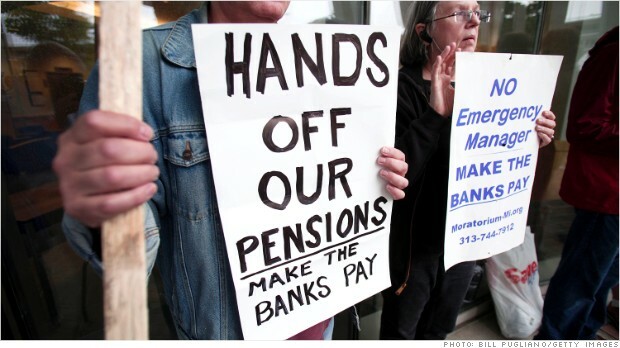 Every American needs to stand up and reject pension cuts to public sector workers, particularly to elderly veterans. Instead of cutting pensions, we must demand that our representatives increase high-income tax revenues as well as to cut wasteful programs (ex. oil/gas/agri subsidies). Such alternatives to pension cuts are not only more effective, but are a rejection of the idea that would should fix the budget by throwing middle class public servants overboard and using them as a raft to float a regressive budget. This is terrifying because this has actually been allowed to happen in Detroit. I can see other state’s Governors licking their chops over their own cities’ pensions. If all the protests, calls and letter campaigns didn’t stop it there, what could stop it from happening in other cities? As you have written, huge amounts of money coming from billionaires to create these false bankruptcies. With the next year’s eyes on the US Senate and House races, it feels like there will not be enough money to go for state elections, to stop these heinous actions in other municipalities. What is most disturbing in all of this are the vindictive justifications conservatives are using for robbing people of pensions that they spent literally decades to earn. The truth is that city governments under-funded their pensions to spend the money on “other priorities”, each politician knowing they could kick that political hot potato down the road and leave it for some future administration. This does not exonerate the citizens of these cities from their responsibilities to these people who worked for these pensions, it is breach of contract to try and slither out of paying your bills. It is reprehensible to arrogantly blame the victim of your theft for your mendacity. Yet another reason why I am a FORMER conservative.